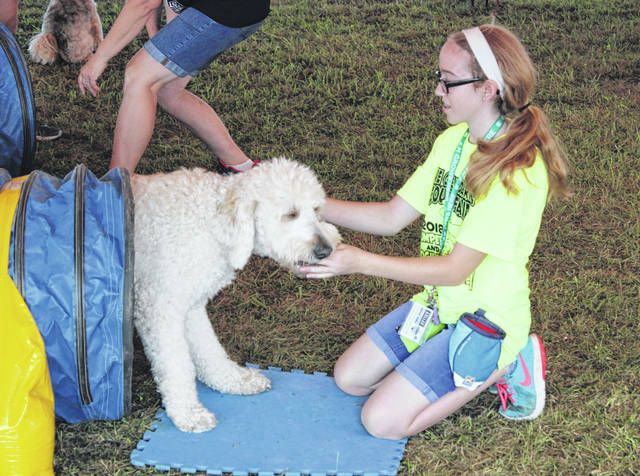 Teddy was among several other dogs on Monday that demonstrated several abilities such as jumping over a bar and going through a tunnel to the sound of their owner calling them at the Darke County Fair. This entry was tagged Darke County Fair, Greenville, Ohio. Bookmark the permalink.